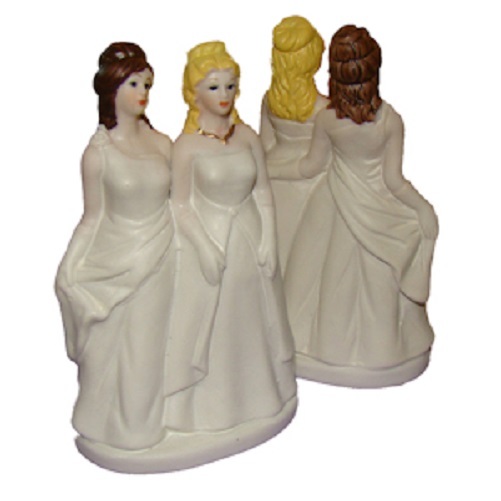 Lesbian Brides Wedding Cake Topper. Beautifully detailed Lesbian Brides in their wedding dresses as this Wedding Cake Topper. They are 4" tall. Made of the finest bisque porcelain and hand painted.